We got skis and skins next to the hut at Pederü. 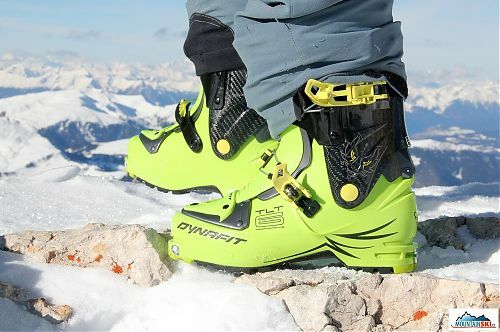 Dynafit also prepared several models of shoes. 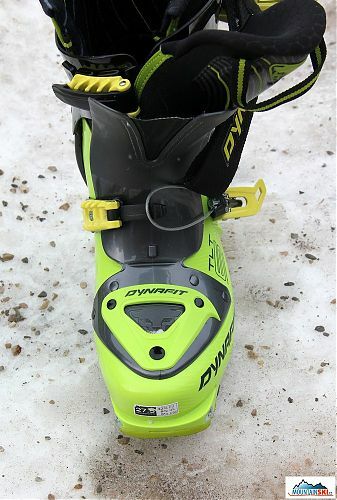 Prototype of Dynafit TLT6 were still „warm“ from the production, and the shoes were in my size – 27.5, so I got them. 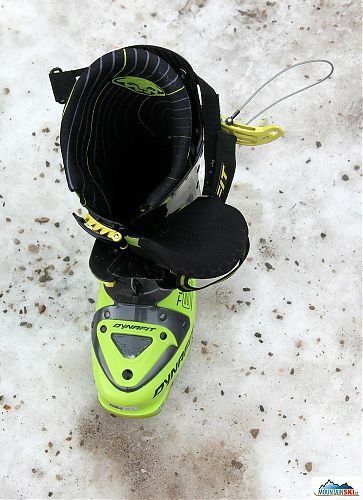 I was surprised almost immediately, as I was not able to stay comfortably in a lines in my ski-touring socks Moose, as the liner Dynafit Custom Ready push me everywhere. There was only my calm free, as the upper buckle was not open. 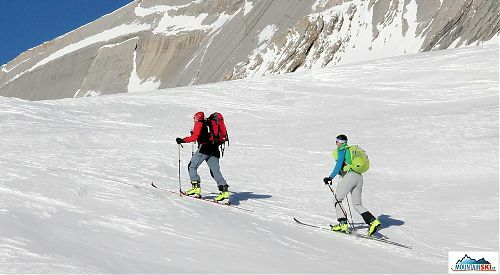 I usually purchase ski-touring shoes smaller, as the liner is able (if it is not thermoflex version – Vypaľujeme papuče v teple domova) to adapt to legs just after several skialpinism trips. 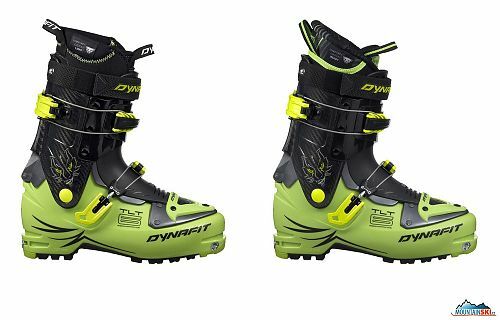 Dynafit Custom Ready was different story. 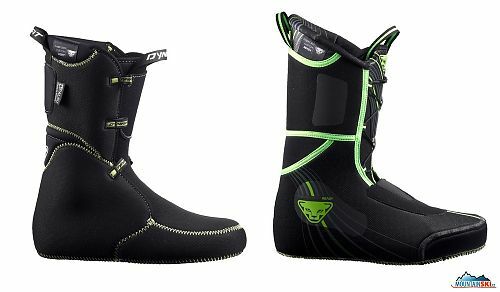 After the discussion with Giovanni Pagnongelli – „The liner will adapt perfectly to your feet during the first hour of your ski-touring trip“, I stayed in TLT6, and followingly I liked them! We climbed from Pederü to the hut Rifugio Fanes (2060 m) almost in the dark, and I decided not to use any of tongues – soft green or hard black. Upper buckle remained open. Our 4 members of the Czech group started as the first ones. Giovanni Pagnongelli was 100 % right. 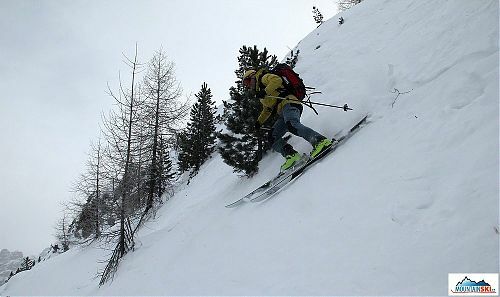 Both liners perfectly adapted to the shape of my legs during the skinning to the hut (approx. 1.5 h). I forgot, that I was almost not able to get in the shoes at Pederü. 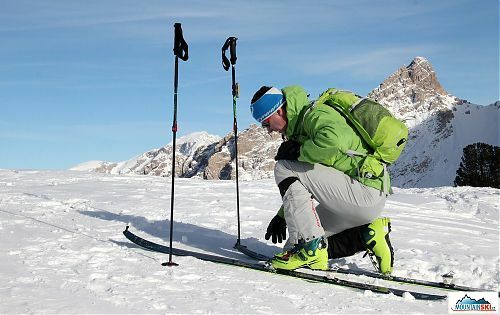 After the above mentioned tours in the Dolomites, I was excited from the prototype of Dynafit TLT6. 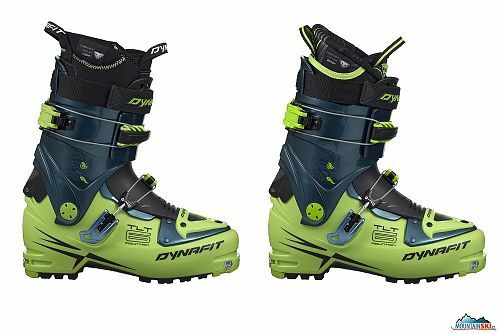 In my personal opinion and evaluation I have to confirm, that Dynafit TLT6 has a range of great features. The brand new liner CR after the initial push had adapted very quickly to my foot and it fit perfectlyt. It was easy to put on thanks to an auxiliary holders on the tongue inside shoes, as well as on the back. 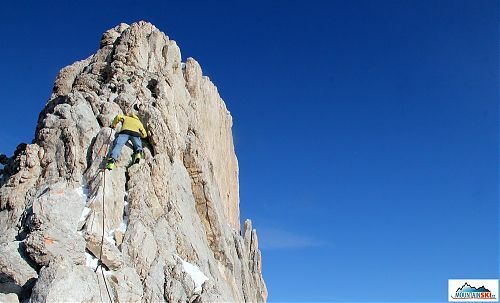 Inner shoe was ideally warm for the weather that we had in the Dolomites – but I do not know what would happen with the comfort, if the outside temperature drop down to –30 to –40 C. Most of the time I spent with it the bottom adjustable buckle was closed and it worked well. Shoe with closed the bottom buckle fit nicely on leg, and it enabled large anteroposterior movement above the ankle, that one might think that Dynafit TLT6 is the trekking boots. 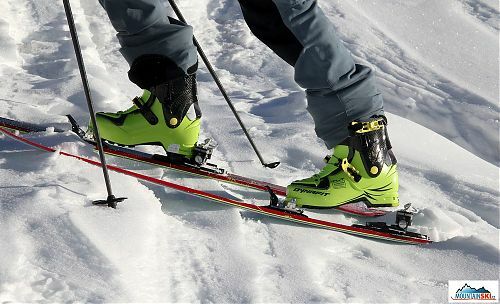 On the contrary, when you switched to ski mode via the upper buckle, the shoe was so solidified that I did not use either of the supplied tongues ​​- hard black or soft green at all. 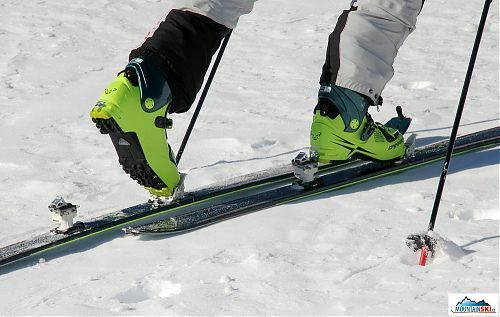 It was not point for me to use any of the tongues, because the shoe itself, when switched to ski mode by the upper buckles was so sold, so that I felt that I was using very hard classic downhill ski boots. 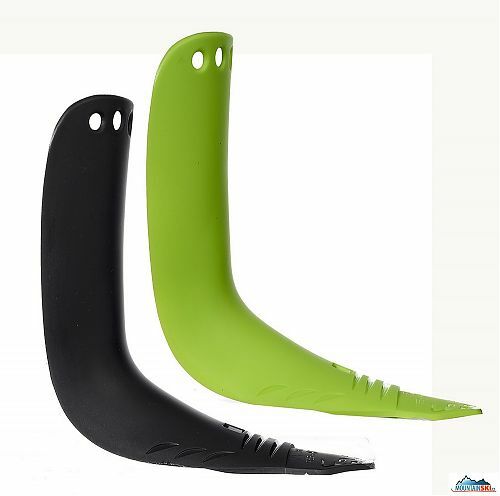 The upper buckle has three settings for different sizes of calves, so you can customize the shoe of a large range of sizes of calves. 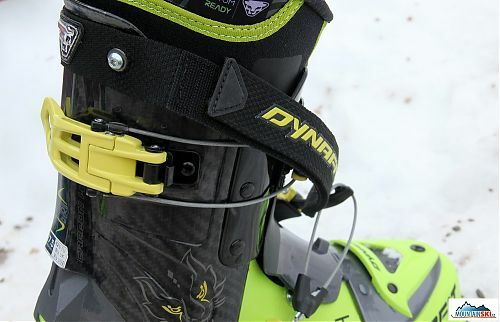 Dynafit patented locking system of the upper buckle is very simple, functional and easy to use. Compare it with different mechanisms and rotary latches used for other shoe does not make sense. I can say that Dynafit TLT6 is the best rando shoe I have ever used from 1995 until 2013. From my perspective, the only negative issue of tested prototype Dynafit TLT6 was short tie around the shell that can not be removed. Developers counted at this point clearly to the fact that the shoe will be used only by people with a very small calves. The official version of these tapes will be longer. Tapes for the entire period I did not use, because it was not necessary at all.